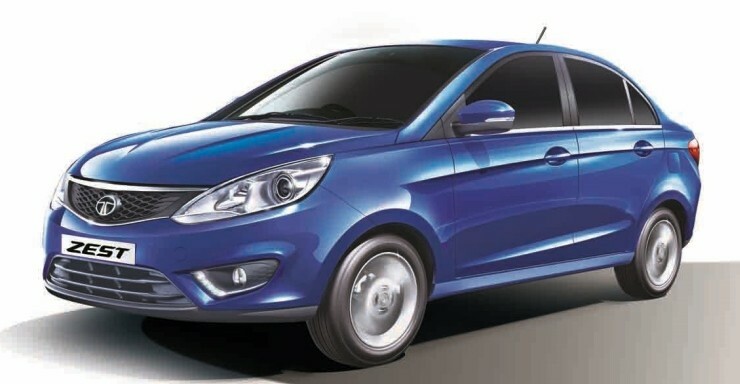 Tata Motors has widened the appeal of the Zest with the inclusion of the 75 PS version of the Fiat-sourced 1.3-liter diesel engine in two more trims, namely the XM and the XMS. Following the revision, the Zest’s variant list looks a bit like this: the XE sits at the bottom of the range (comes with the said engine), the XM and XMS (now available with the 75 PS engine) are positioned above it, while the range is topped by the 90 PS engined XT. The F-Tronic AMT-equipped XMA and XTA also come with the 90 PS version of the diesel engine. A 1.2-liter turbocharged petrol ‘Revotron’ engine is also available for the Zest. Prices start at Rs 5.06 lakh, ex-showroom, New Delhi. The two variants XM and XMS are priced at Rs 7.12 lakh and Rs 7.40 lakh respectively. Keep in mind that if you’re looking for the white colour, then you’re required to pay a premium of about Rs 3,000 for the same, except on the top spec XTA.